Juvèderm® - Just Skin, Inc.
Get rid of laugh lines and diminish wrinkles with Juvéderm®, an injectable dermal filler for facial wrinkles and folds. Over time, the natural volume of youthful skin begins to diminish as wrinkles and folds form. With just one in-office treatment, you’ll get smooth, natural-looking, and immediate results that can last up to a year! Learn more about Juvederm XC from Allergan’s website. Your practitioner will use numbing cream to anesthetize the treatment area, so there is little pain or discomfort. Avoid sauna, jacuzzi, steam room, and hot yoga for at least 3 days. Results may take up to 14 days to take effect. Please wait the 14 days before assessing your results. Hello Juvederm XC ®. Goodbye, lines! 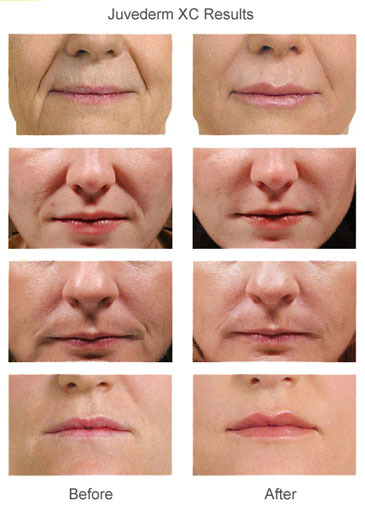 Juvederm XC ® restores the skin’s volume in a way so subtle that everyone will notice, but no one will know!